Our personalized family sign bottle openers are the perfect addition to your home wet bar, kitchen, garage or man cave. These custom wood beer bottle opener signs are engraved with precision on a premium, top quality wood of your choosing. 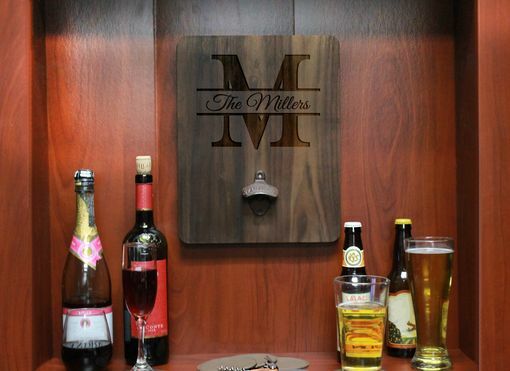 These personalized wall mounted bottle openers are also excellent gifts for weddings, anniversaries, and housewarmings.